On 27th January 2018 Mrs. Eveline Thüler opened her own HYPOXI-Studio in Basel, Spalenring. Mrs. Thüler has come to know the HYPOXI-Method being a HYPOXI-Coach herself and loved it. Working with her satisfied customers brought about the decision that a self-employment in the sector of targeted figure forming would be exactly the right thing for her. 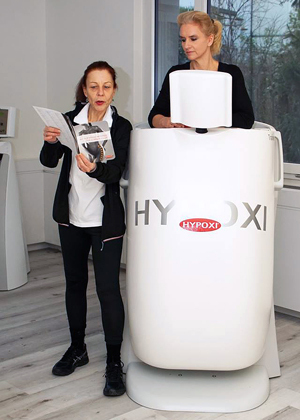 At the new HYPOXI-Studio in Basel, Spalenring, Mrs. Thüler and her team will not only offer the classic HYPOXI Intensive Care Programs but the HYPOXI-Training for those affected by lipoedema. Read more about the results of the HYPOXI-Lipoedema study and more on the topic Lipoedema in the Lipoedema blog.